Image: Yifan Chen presenting at the Analytics Accelerator Summit on November 2, 2018. Not every MBA has a background in neurobiology, consulting, and programming like Yifan Chen, WG’20 — but streamlining his career took walking an atypical path. After Yifan decided against medical school, he explored the financial services industry, and then enrolled in a full-time coding bootcamp. He gained some experience as a software engineer at a medical device startup before deciding to pursue his MBA at Wharton to gain an edge in the industry. 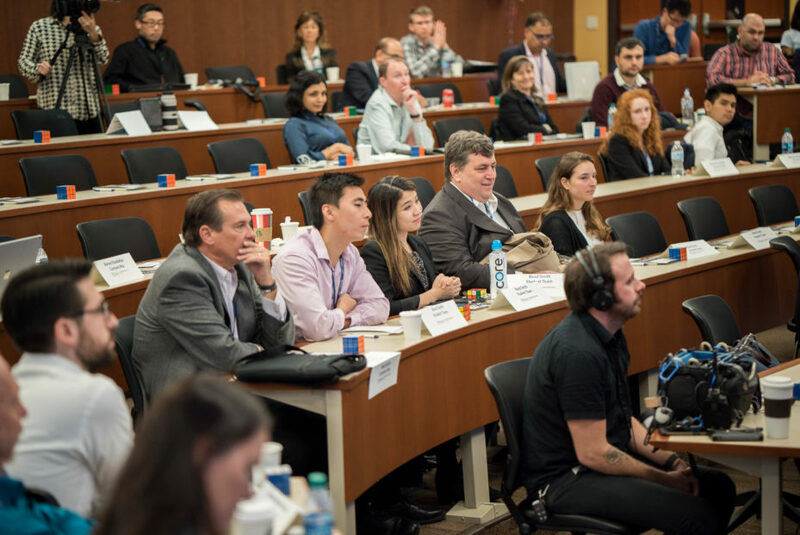 One of the first steps Yifan took was participating in the Wharton Customer Analytics Initiative (WCAI) Analytics Accelerator last semester. He was one of two MBA engagement leads on a team of six undergraduate, graduate, and PhD students from Penn and Wharton, helping law firm Reed Smith extract meaningful insights from their time card data. Yifan integrated practical skills he gained from consulting and engineering, while providing big-picture guidance and acting as a conceptual translator between the team and their client. He focused on making sure everyone on his team got the most out of their experience. Yifan with two other team members at the Summit: Linda Ye, WG’20 (center) and Sarah Dreyfuss, W’20 (to the right). Yifan’s team applied machine learning techniques to fill in any missing or incorrect data, before analyzing it to identify areas of interest: which practice might be bringing in the most revenue, which types of work might take lawyers the longest, or looking forward, how to allocate attorney resources to maximize business value for the firm. Yifan said the relationships he built with the client and with team advisor and WCAI faculty director Prof. Eric T. Bradlow were another valuable takeaway. 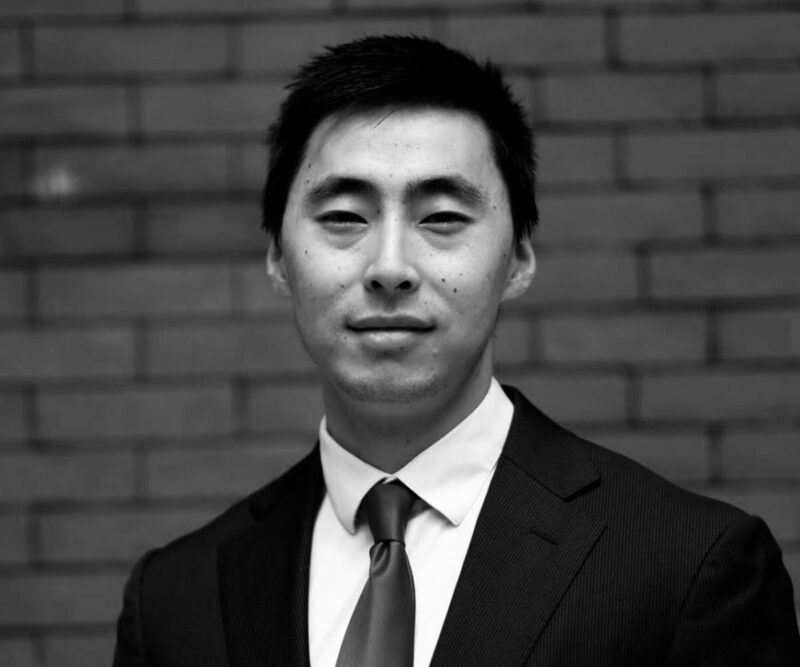 Bradlow’s information session during MBA Pre-Term in August 2018 was what inspired Yifan to get involved in the first place. Yifan believes his various personal and professional interests have made him something of a “relationship broker” between people. It’s a role he carries on campus as a member of the Greater China Club for Chinese international students and as a board member of the Wharton Asian-American Association of MBAs (WAAAM), in charge of interfacing with external organizations. He sees himself positioned in the middle of those groups. As a programming and web development mentor for conflict-affected youth in the Middle East at Re:Coded, he connected to how his mentees turned to coding to pave a future out of adversity. Yifan is currently on track to major in entrepreneurship and innovation but he maintains that being fluent in tech can be a powerful tool for anyone — high schooler or business executive.